When we moved back to Lake Tahoe I was elated to return to our old doctor. He brings decades of emergency room work to the table, but he merges his medical training with the studies he acquired over ten years ago in alternative medicine. I love that he looks at the whole person, seeks out causes rather than just treating symptoms, and how he doesn’t frown upon Eastern or Western medicine. He uses both. All that matters to him is what is effective in bringing people to a true healthy state. But, what he emphasizes most is that people need to take an active role in managing their own healthcare. When they rely too much on doctors, that is when things go wrong. His wisdom feeds my desire to learn, which led me to discovering the most awesome deal on a book that I must share. 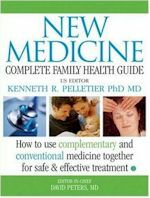 Last week I ordered “New Medicine: Complete Family Health Guide” for $3.18. This is a $25 book that was published in April of 2009 and it was just $3! I wanted to make sure it was okay before suggesting it, and wow, it is better than okay. This is a BIG book that gently covers so many different health topics, concerns, and diseases / disease prevention in an encyclopedia-type format. It explains each topic (in layman’s terms) along with treatments using diet, herbs, alternative medicine, prescriptions, and/or surgeries. Whatever is effective and available. The authors don’t instill their opinions, rather they give you a good baseline of information to help you understand all of your options (whether Eastern, Western, or plain old diet) and feel knowledgeable enough to manage your own health. I am impressed. Of course, I have only had time to skim it since my husband has already swiped it to read himself, but at $3, I really don’ think you can go wrong. Honestly, I have no idea why such a new and thorough book has been marked down so dramatically – we are not talking out-dated material here! I am also not sure if the price is temporary, so if you are interested, I would jump on it. What does this have to do with a food blog? Well, not a lot. But I have noticed that most of us foodies seem to take a higher than average interest in health, and really, where else could I share such a good deal? So, while we are on the topics of food and health, are there any books you recommend? I don’t need to purchase another book…I have too many I cant even get thru 🙂 LOL but I love this one for a rainy day find! Obviously i rely on google reader wayyy to often because I had no idea you changed the look…i Love it! And this looks like a book that I’d really like to check out! 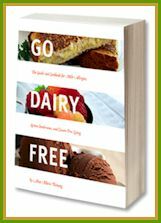 As far as what I would reccomend…I just purchased 1000 Vegan Recipes and so far I love it! 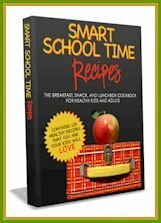 Great easy to make recipes that taste awesome! Look who got a makeover! Nice new look! As for books that I love that give you great information on health through food, I love The Cancer Survivor’s Guide! Great book!